An electric car company known for building zero-emission vehicles has come under fire from the Environmental Protection Agency for how it handled its own waste. The EPA has announced a settlement with the EV manufacturer over hazardous waste violations that were discovered at the company's Fremont, California, factory. Per the terms of the settlement, the automaker agreed to pay a $31,000 penalty, and will also spend $55,000 to purchase emergency response equipment for the Fremont Fire Department. The alleged violations were discovered during two unannounced inspections performed at the Fremont facility in 2017 by the EPA, the California Department of Toxic Substances Control and the Bay Area Air Quality Management District. According to the terms of the settlement, the agencies discovered that the company had failed to "promptly clean up flammable paint and or solvent mixtures." 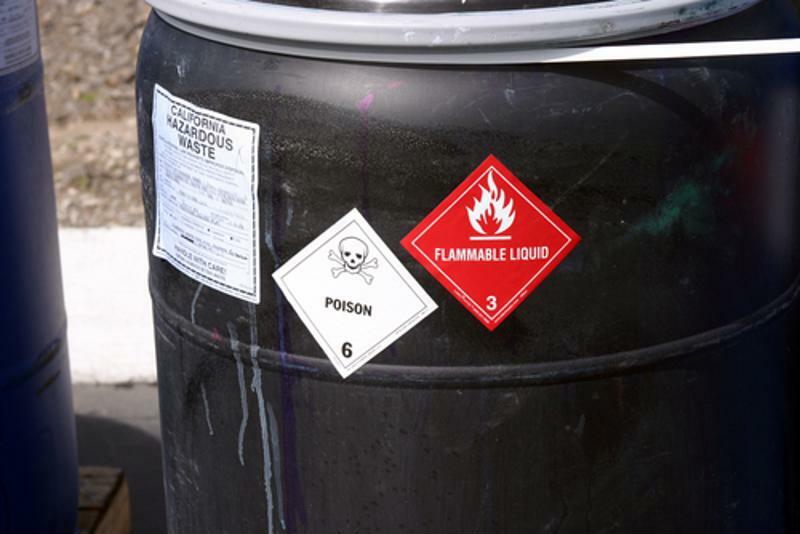 The business allowed two 55-gallon containers of hazardous waste to remain open with "no gasket or locking mechanism" and violated air emission standards with three leaky transmission lines that carried the waste. The company was also accused of allowing hazardous waste to accumulate on site for over the 90 days allowed without a permit. The EPA identified multiple violations of the federal Resource Conservation and Recovery Act, a set of regulations established in 1976 that require the safe management of hazardous waste to protect public health and the environment. According to the agency, the company violated the RCRA in three distinct ways: failing to comply with air emissions standards for equipment leaks, failing to comply with management regulations for generators of hazardous waste and failing to make the appropriate hazardous waste determination for solid waste generated at the facility. The automaker will pay a total of $86,000 as a result of alleged violations regarding hazardous waste materials. In addition to a $31,000 penalty, the settlement also requires the electric car manufacturer to complete a supplemental environmental project by purchasing at least $55,000 worth of emergency response equipment for the City of Fremont Fire Department. The equipment will aid the fire department in responding to hazardous materials incidents. "It's vital that businesses comply with hazardous waste laws that keep facilities safe for workers and the community," said EPA Pacific Southwest Regional Administrator Mike Stoker in a statement. "We are pleased that this settlement will bring much needed emergency response equipment to the City of Fremont." The EPA's statement also acknowledges that for its part, the company has addressed all of the identified violations and is now compliant with all RCRA requirements. Over 1,100 paint shop associates, technicians and supervisors at the facility have also received hazardous waste training in the two years since the violations occurred. "In the 16 months since the EPA visit, [our company] has made great strides in its environmental program and its ongoing compliance," a spokesperson for the automaker told The Verge. "We are pleased to have worked collaboratively with EPA Region 9 and are particularly proud that the city of Fremont will benefit from the agreed settlement."